US Justice Department officials expect to bring additional charges Assange, according to a US official briefed on the matter. It is unclear when officials would bring such charges. The years-long FBI investigation into Assange transformed in recent years with the recovery of communications that prosecutors believe shows Assange had been been a more active participant in a conspiracy to hack computers and violate US law, officials say. WikiLeaks founder Julian Assange is now facing up to 12 months behind bars after being found guilty of breaking his bail conditions when he entered the Ecuadorian embassy in 2012. A date has yet to be set for his sentencing at London's Southwark Crown Court. Assange has been remanded in custody until his May 2 extradition hearing at Westminster Magistrates Court. Britain's Home Secretary Sajid Javid on April 4. The UK's Home Secretary Sajid Javid addressed the House of Commons on Thursday afternoon for the first time since Julian Assange was removed from the Ecuadorian embassy and arrested. 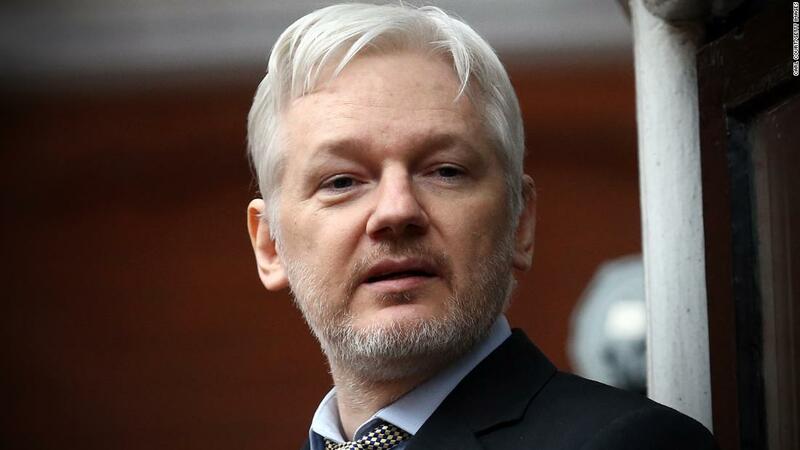 Javid told members of parliament that both the UK and Ecuadorian government had "become increasingly concerned about the state of Mr. Assange's health." The first action of London's Metropolitan Police was to have him medically assessed and deemed fit to detain, he said, adding that Assange had received access to doctors while holed up within his diplomatic shelter. Javid then outlined how court proceedings would play out: Under UK law, following the provisional arrest, the full extradition papers must be received by the judge within 65 days. The extradition request must be certified by Home Office before going to court, Javid said. Apart from the odd special appearance from the Ecuadorian embassy's balcony, Julian Assange hadn't been seen outside in seven years. It was a moment that global news organizations were desperate to show their audiences. In the end, the only media outlet with video of the moment was an outfit called Ruptly. Founded in 2013, Ruptly -- which has carved out a niche for itself by recording events around the world and selling the footage to other broadcasters -- is a subsidiary of Russian state-backed media outlet RT. Laura Lucchini, Ruptly's deputy head of news, said its staff had been recording events outside the embassy 24/7 since at least April 5. According to the Guardian, after it started to seem in recent weeks that an arrest might be imminent, big UK broadcasters had formed a "pool" arrangement to take turns staking out the building. If something happened, the footage would be shared among the pool members. That effort appeared to have been abandoned when the arrest failed to materialize. The BBC, ITN and Sky News did not immediately respond to requests for comment.